Every year for Christmas I sew my kids a few pairs of pajama pants. 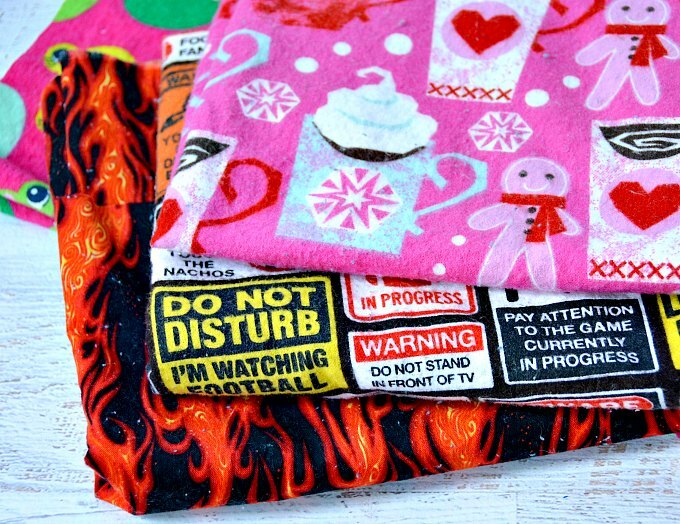 Pajama pants are a surprisingly easy sewing project and they are great for beginning sewers – or just really bad sewers like me! Now that it's summer and the air conditioning is on, my kids were still trying to wear their winter pajamas to bed. I sew the pants out of flannel and they love the softness of it. I decided to see if I could just cut the legs off my favorite pattern to make shorts. It totally worked! I took my kids to the fabric store to pick out fabric for their summer pajamas. I tried to get them interested in cottons but they kept heading right back to the snuggle flannel. The flannel is super cheap when it's on sale so I was all for it. They each picked out three different fabric patterns and I bought a yard of each. It turns out that a yard will probably make 2 pair of shorts, though, so you really only need about a half of a yard for one pair of shorts. It's really important to wash the fabric before you sew with it. You want to make sure that it shrinks, if it's going to shrink and to just get out any dust and dirt from being in the store. 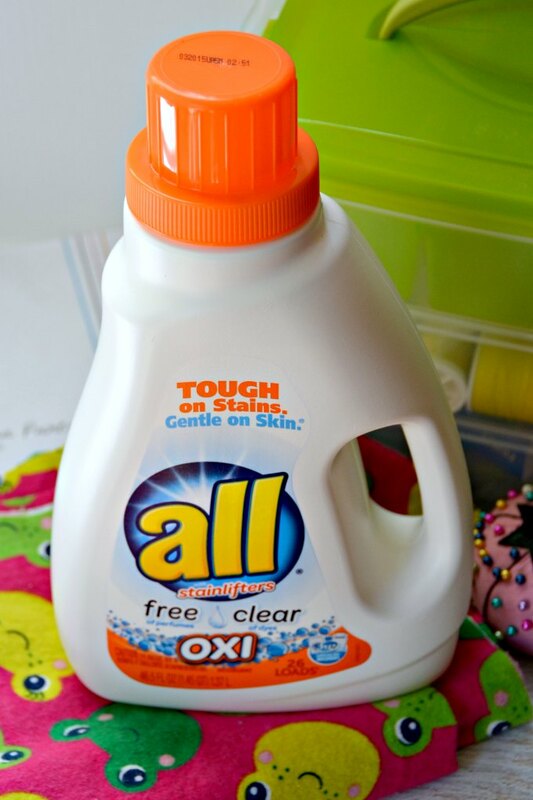 To make sure we got out all the dirt and grime, I used NEW all free clear OXI booster. Once the fabrics were washed, dried, and squared off, it was time to cut out the shorts. You can use any pair of shorts your child has as a pattern, but I used Taylor's Pajama Pants pattern. I only printed the first two pages of the pattern and cut the leg off just under where the paper ended. But the shorts were a tad too short so next time, I'll cut the pattern out to the 6-12 month length to give me a little more room to work. Just follow the instructions on the pattern. The hardest part is getting the elastic in the waistband. And that was it! Within about half an hour, I had a pair of pajama shorts ready to go. It didn’t matter what size – although I was making sizes 7 or so. I just used that guideline for length. 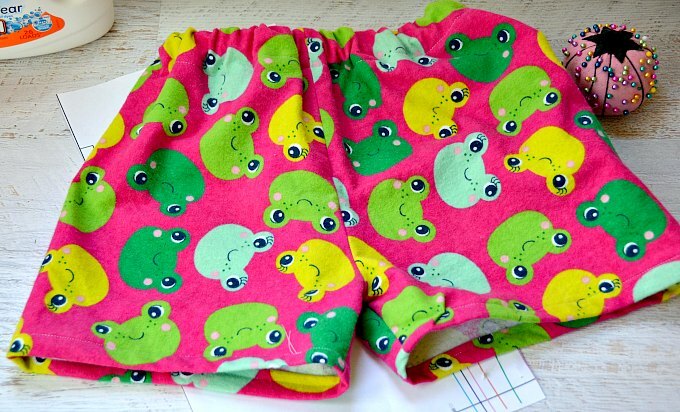 Camille, these are adorable; I love the little froggies and fleece is terrific for PJ’s. My quilting group uses it a lot to make baby quilts for little ones being baptized in the church. We also make pretty pillowcases for children in a local hospital to use while they are there and then take home to enjoy. Even my grandkids are grown but our first great-grandchild is almost 16 months old and I’m having a blast sewing for her. I’m delighted to have found the little pants pattern. It will come in very handy. I’m something of a “sew-a-holic”; sometimes my poor husband despairs of ever getting me away from my machine. When I saw your name I just had to leave a comment. Even though sewing is my passion, I like knitting too, love NFL football and have always enjoyed musicals, but I’m ancient so my type of musical is the likes of West Side Story, Camelot and Carousel. 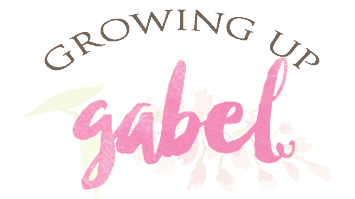 And that’s not all we have in common – my last name is Gabel! Hi Suzanne! It’s always fun to meet another Gabel! 🙂 Those are exactly my type of musicals, too. I grew up watching old movies and love them all. Thank you so much for stopping by. I’m glad you found something new to try. 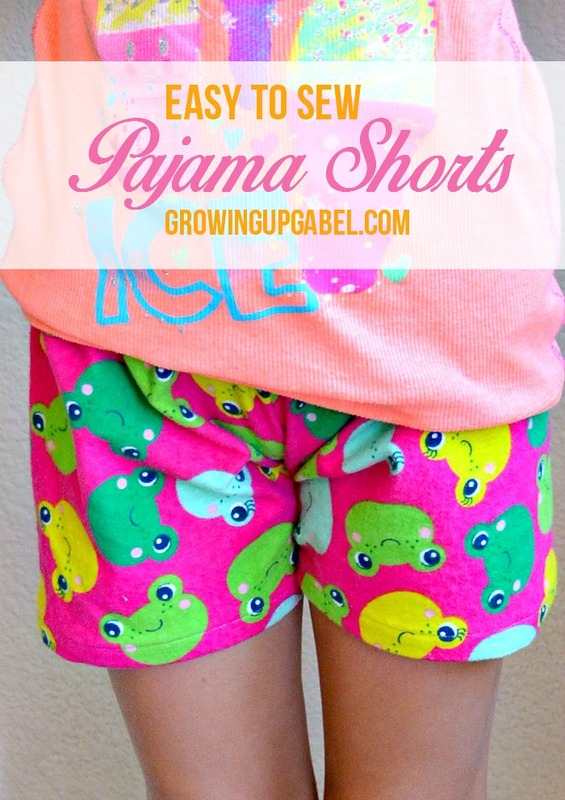 We love those shorts and the pajama pants pattern. So easy to make, too! If you hook a safety pin to the elastic it goes through a lot easier. Thanks for sharing this. 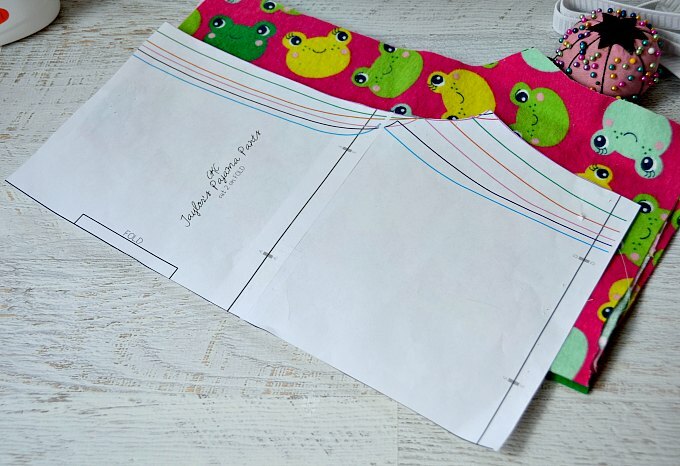 What a cute print and great idea! Thanks for sharing with us on Throwback Thursday! What fun! I love being able to make quick, useful things like this and picking your own fabric is always more fun than what they offer for sale. A piece of advice someone gave me for days that you dread elastic? Make them drawstring pants instead. Love these! I’m going to make some for the girls for the summer. I like that the flannel is snuggly, but they are shorts so they wont get too hot! These are perfect. My kids would love these. 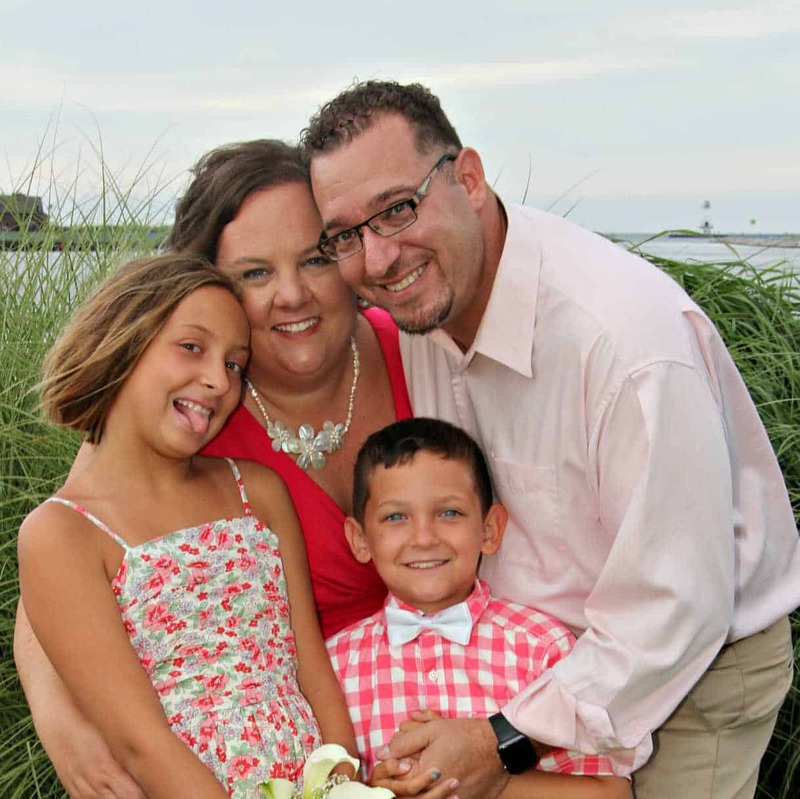 You should link up with us at Family Joy Blog Link Up Party. Sunday-Wednesday. Thank you for sharing. I really want to try make pants for my kids. They always knee down on the floor and play with theirs. After a while they will make a big hole on the knee part.